China, officially the People’s Republic of China (PRC), is an enormous country in East Asia that is large in both geographic size (about the same size as the U.S.) and population (with the world’s largest population, over 1.3 billion). China is one of the major cradles of civilization, starting in the fertile basin of the Yellow River in the North China Plain. China’s landscape is vast and diverse, ranging from forest steppes and the Gobi and Taklamakan deserts in the arid north to subtropical forests in the wetter south. The Himalaya, Karakoram, Pamir and Tian Shan mountain ranges separate China from South and Central Asia. 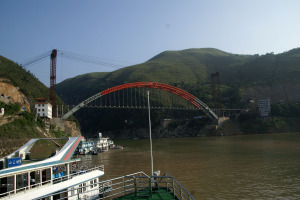 The Yangtze and Yellow Rivers, the third- and sixth-longest in the world, run from the Tibetan Plateau to the densely populated eastern seaboard. There is a wide range of terrain to be found in China with many inland mountain ranges, high plateaus, and deserts in center and the far west. Plains, deltas, and hills dominate the east. The Pearl River Delta region around Guangzhou and Hong Kong and the Yangtze delta around Shanghai are major global economic powerhouses, as is the North China plain around Beijing and the Yellow River. On the border between Tibet, (the Tibet Autonomous Region) and the nation of Nepal lies Mount Everest, at 8,850 m, the highest point on earth. The Turpan depression, in northwest China’s Xinjiang is the lowest point in the country, at 154 m below sea level. This is also the second lowest point on land in the world after the Dead Sea. Featuring both cultural and natural attractions. 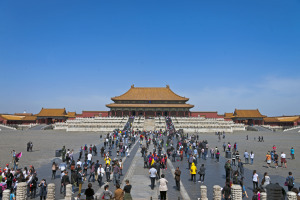 Beijing is the capital of China and the nation's second-largest city. It is the political, educational and cultural center of the country and is rich in historical sites, cultural events, and other features. Among its historic sites are two spectacular palaces that are UNESCO World Heritage Sites. The Great Wall stretches for thousands of miles from Liaoning Province to Gansu Province. It can be visited at many places along the way, but conditions vary considerably. Among the best preserved and most popular parts of the wall are those north of Beijing, and near the towns of Badaling and Juyongguan. 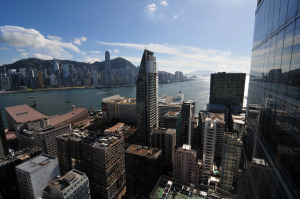 Hong Kong is well-known for its spectacular harbor and the tall buildings that climb up its hillsides, but it it also filled with isolated islands where beaches and camping are available, as well as chances to hike in the mountains. 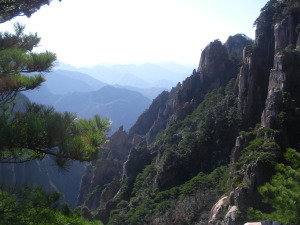 Huangshan Scenic Area has been famous throughout Chinese history as the basis for ancient Chinese paintings. Jagged granite peaks clothed in uniquely shaped pine trees create a spectacular landscape. Historically a junction between two branches of the old Silk Road, Kashgar has been an important trading center for many centuries, and remains so today. It’s markets, and especially its’ Sunday livestock market, attract people from hundreds of miles and are said to be among the largest in Asia. 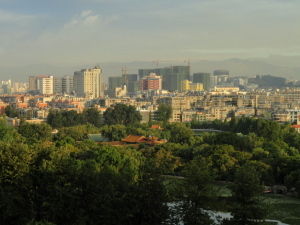 Kunming combines history and a pleasant year-round climate. It also serves as a hub from which to explore other parts of Yunnan Province – one of China’s most scenic and culturally diverse regions. 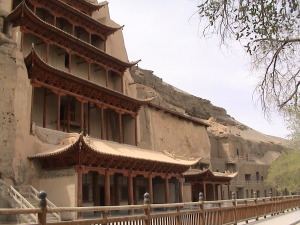 The Mogao Caves, along the Silk Road, form a system of 492 temples built into dugout caves. The caves are the best known of the Chinese Buddhist grottoes and are one of the famous ancient Buddhist sculptural sites of China. 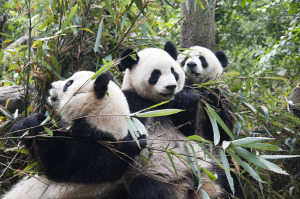 The Sichuan Giant Panda Sanctuaries in Sichuan province are home to more than 30% of the world's highly endangered Giant Pandas. It is also a refuge to other endangered species, such as the red panda, the snow leopard, and the clouded leopard. 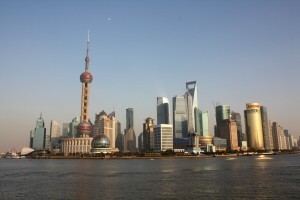 Shanghai is the largest and traditionally the most developed metropolis in China. It combines an amazing skyline of modern buildings with Western-style architecture from the 1920s and is one of the world’s most lively and dynamic cities. Suzhou is famous for its stone bridges, pagodas, and meticulously designed gardens. Suzhou also many canals, giving it the name "Venice of China". The Three Gorges region is a scenic area along the Yangtze River, with a total length of approximately 200 kilometres (120 mi). While the area is still beautiful, it was significant affected by the Three Gorges Dam, the world’s largest, completed in 2006. 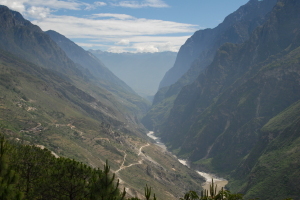 Three Parallel Rivers National Park, in Yunnan Province. Is known for both its extraordinary biodiversity and its unusual positioning where three major Asian Rivers flow in parallel valleys. These have made the region a UNESCO World Heritage Site. West Lake is a freshwater lake in Hangzhou containing many temples, pagodas, gardens, and artificial islands. The "West Lake Scenic Area" itself is UNESCO World Heritage Site is large, and contains many smaller sites. Xian, located in the northwestern China, is one of the oldest cities in China, and the starting point for the Silk Road. It is most famous today as the home the Terracotta Army, which is a UNESCO World Heritage Site. Yangshuo is a popular travel town near Guilin surrounded by karst mountains, winding rivers and beautiful scenery. Travelers can to explore the local countryside by bike, rock-climbing, hiking, caving, or taking a bamboo raft down the river.